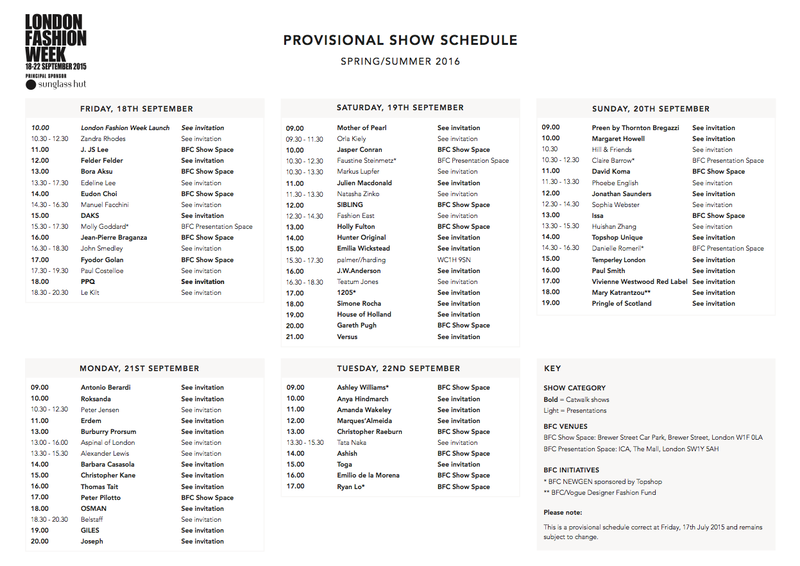 The provisional schedule for London Fashion Week has arrived, courtesy of the British Fashion Council. The above listings are subject to change. Zandra Rhodes is returning to the schedule to open the five-day event. Rhodes hasn't appeared on the official schedule in many years. Gareth Pugh, who returned to London Fashion Week last season for his 10th anniversary in the business, returns this season on Saturday 21 @ 20:00. He will provisionally be showing at the BFC Show Space in the Brewer Street Car Park. Aspinal of London will also return. Last season they presented their collaboration with Étre Cécile. Joining the line-up for Spring are Edeline Lee (who has previously shown on the digital schedule), knitwear-whiz John Smedley, jewellery designer-turned-womenswear designer Natasha Zinko, and the Anthony Vaccarello-designer and Donatella Versace-mentored Versus (which will be arriving on British shores on Saturday @ 21:00). Former Mulberry creative director, Emma Hill, has her new venture Hill & Friends launching on Sunday morning. Peter Jensen will be presenting his collection on Manic Monday in the morning. That afternoon, Brazilian Alexander Lewis will make his LFW debut. NEWGEN-supported designers returning this season are Molly Goddard, Faustine Steinmetz, 1205, Claire Barrow, Danielle Romeril, Ashley Williams and Ryan Lo. Lo, Williams and Paula Gerbase's 1205 all have catwalk sponsorship. Steinmetz, Goddard, Barrow, and Romeril will show presentations at the Institute of Contemporary Arts on the Mall. Additionally, Marta Jakubowski and Sadie Williams will have exhibition sponsorships. The Spring 2016 season of LFW will be moving from Somerset House to the Brewer Street Car Park in Soho. 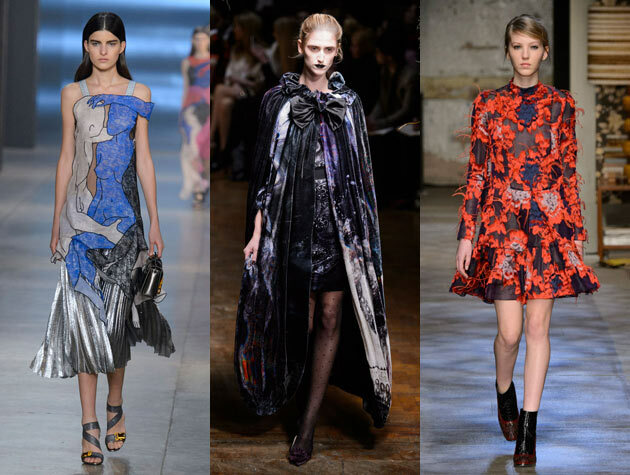 London Fashion Week runs from 18 September-22 September.